It is with this conviction in mind that SDFS presents its first e-learning for Instructors and Students. This is the result of a project that encorporates many different forms of experience, and though it takes into account numerous modern methods, it seeks to maintain the unaltered values that SDFS upholds throughout the world. 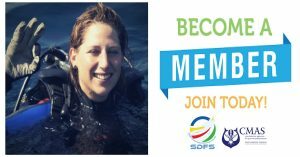 It can be taken for granted that where there is scuba diving, there is also SDFS with its history and its human and social values.